1. 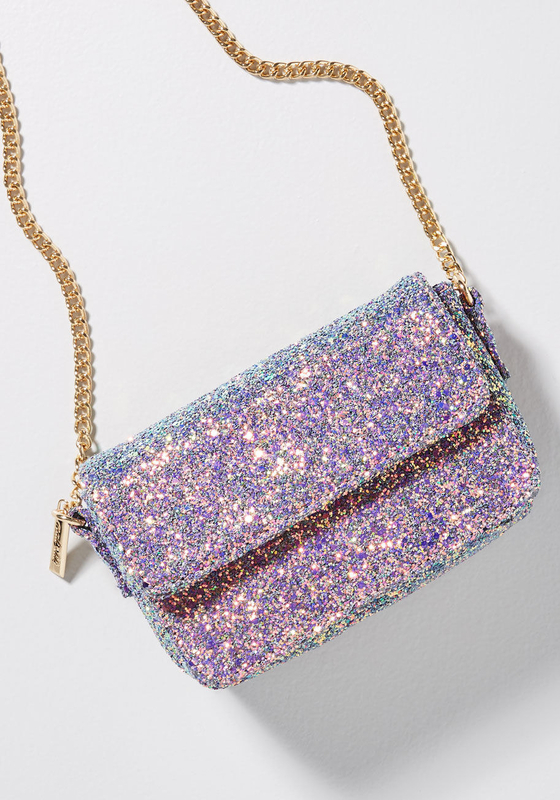 A crossbody covered in glitter to make their 2019 way less bitter. 2. A sleek hot air popcorn popper so they can easily make the world's best snack with zero oil or chemicals. The best part, IMHO? The included kernel measuring cup can be placed on top and used to melt butter while your corn is popping! Genius! 3. 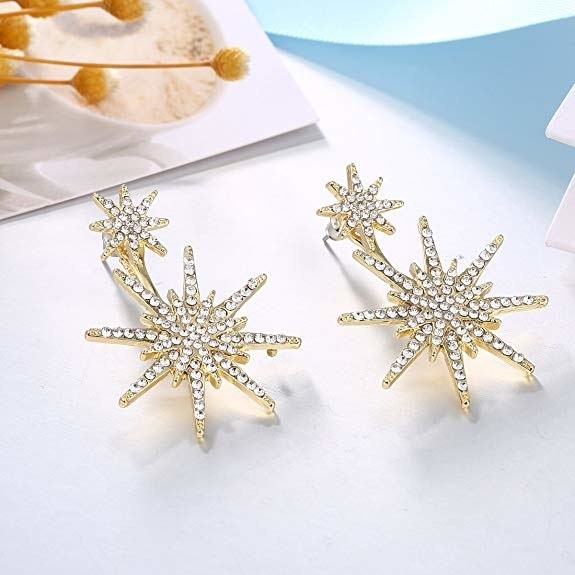 Gorgeous ear jackets with a truly stellar level of versatility — they can be rocked as drops or as studs if you remove the back. 4. A boxed set of all eight Harry Potter movies for that friend who freaked out when those rumors that the films were coming to Netflix were swirling, and cried when they turned out to be false. Get it from Amazon for $39.96+ (available in four formats). 5. And a heat-changing Marauder's Map mug that'll make them freak (and geek) out when the iconic cartograph appears with the simple addition of a hot beverage — no need to say "I solemnly swear that I am up to no good." But like, they should say it anyway. 6. A heartfelt fill-in-the-blank journal with 50 prompts to inspire you to share your true feels about the recipient — from the hilarious to the sappy. It might not only provoke a squeal of delight, but also tears of joy. 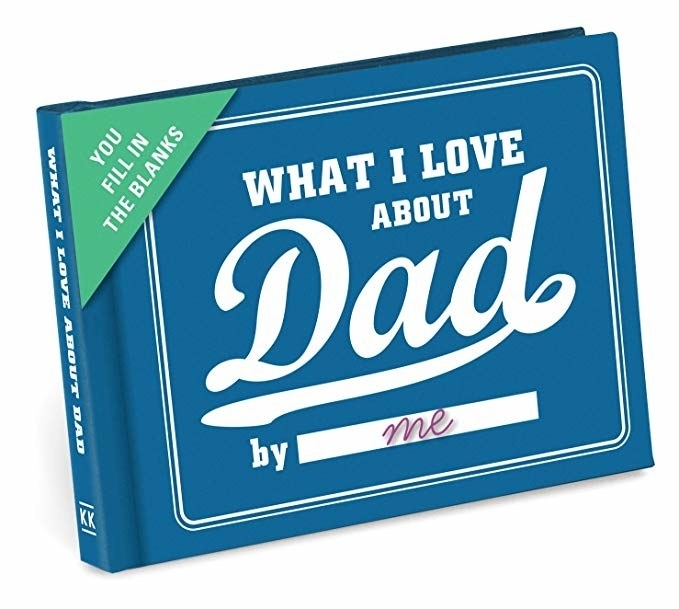 It's available in tons of versions, from ones for moms and dads and grandmas and grandpas to more general ones like "Why you make me smile" and "What I love about you." Get it from Amazon for $10+ (available in 21 versions, including some in Spanish). 7. A customized sterling silver pet photo and initial necklace for that person who basically spends every social interaction just WAITING for a chance to bring up their dog. Just upload a pic of your friend's pet (I'm sure that won't be hard — their social media is full of them) when you place the order! Get it from CarmelaHandmade on Etsy for $29.43 (available in five lengths). 8. 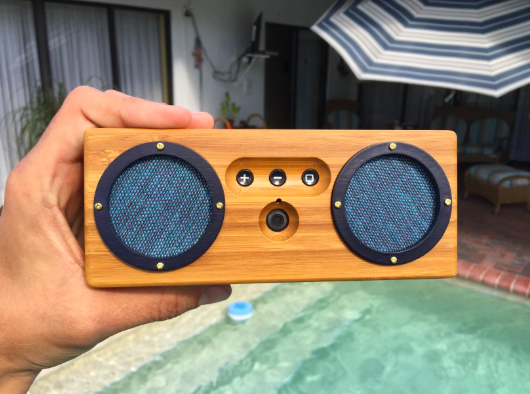 A super cool portable bamboo Bluetooth speaker to make their jam sessions better than ever before. 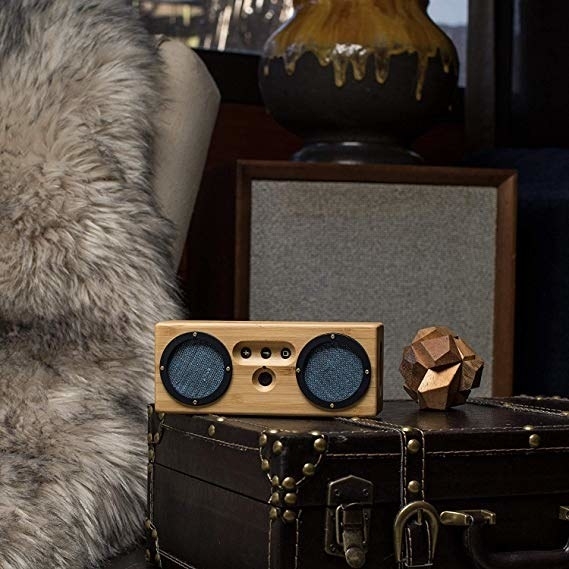 You won't even be surprised if they text you later about how awesome this bad boy is — you knew they wood. It claims to last for up to 15 hours with a single charge and has a range of 33 feet! Get it from Amazon for $69.87 (available in three colors). 9. Heated narwhal slippers that'll keep their feet warm and happy — and that's no nautical nonsense. Heat 'em up by plugging them in via USB, then unplug to walk around with warm tootsies! Get them from Amazon for $37.90. 10. And a festive Mr. Narwhal enamel pin ready to wish them luck on all their endeavors in the new year. 11. 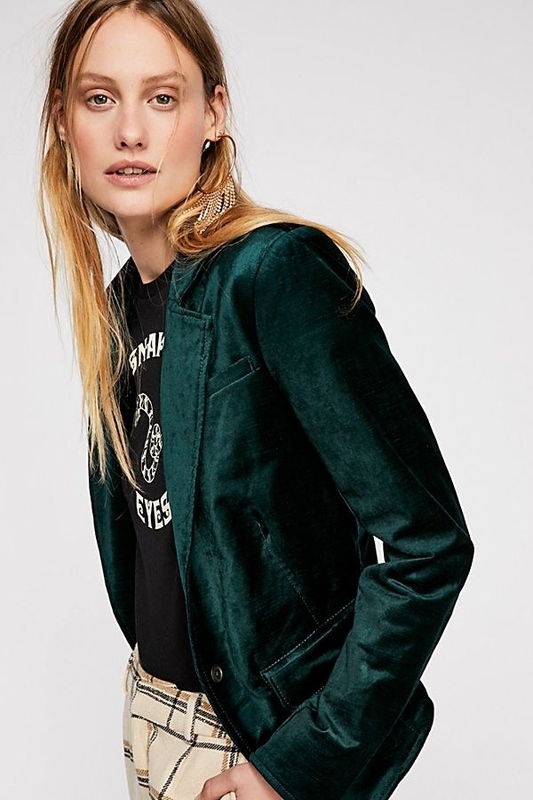 A luxe velvet blazer to add the perfect finishing touch to any outfit. Get it from Free People for $148 (available in sizes XS-L and in three colors). 12. 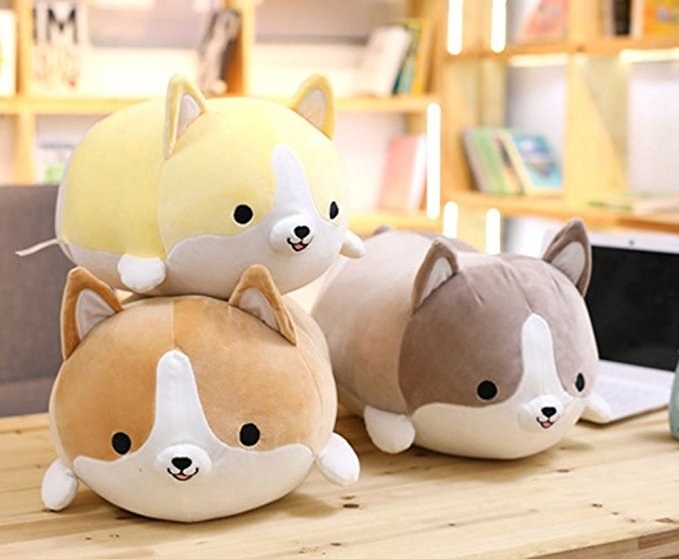 A pack of adorable mini animal squishes sure to become their new main squeeze. Get a set of 20 from Amazon for $13.99. 13. 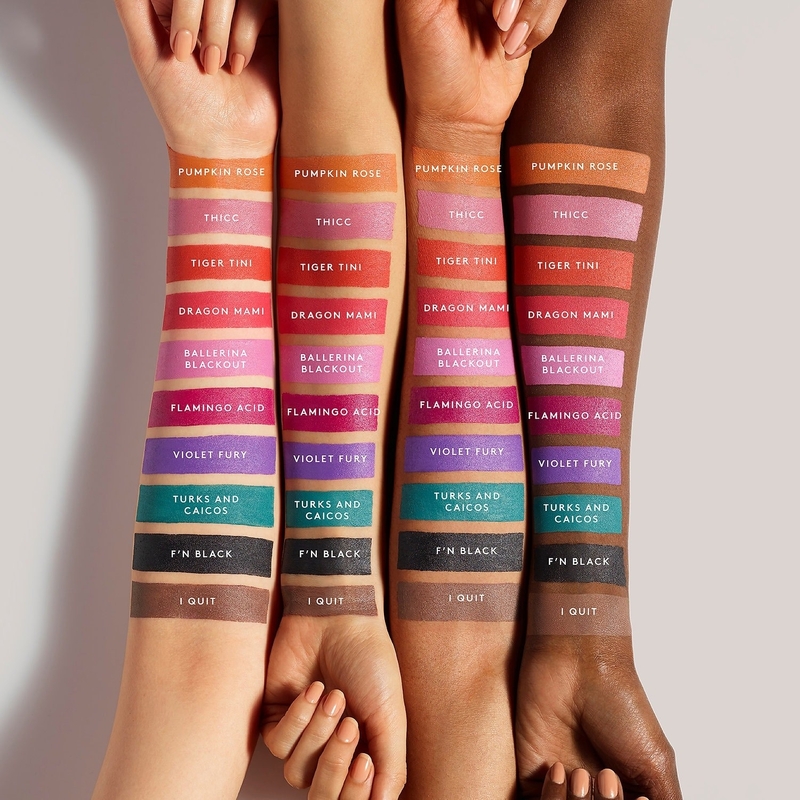 A beautiful set of 10 all-new Fenty Beauty Mattemoiselle lipstick shades that aren't yet available individually. In other words, it's the ultimate treat for any beauty buff — other than actually meeting queen Rihanna in the flesh. Fenty Mattemoiselle is BuzzFeed Reviews' pick for the best mid-price matte lipstick! I am personally obsessed with Fenty Mattemoiselle, and last season's One Of The Boyz lilac shade is one of my most prized beauty possessions. 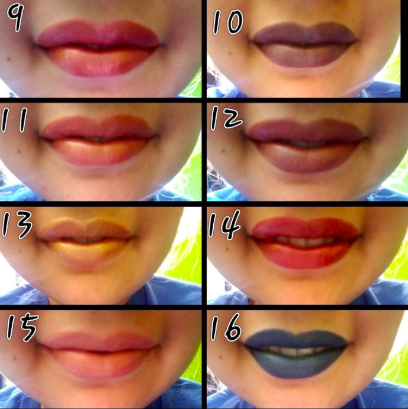 From the easy size of the bullet to the deep pigment, these babies are truly awesome. I'm tempted to splurge on this because I don't think I can wait another second to have that new violet shade on my lips. 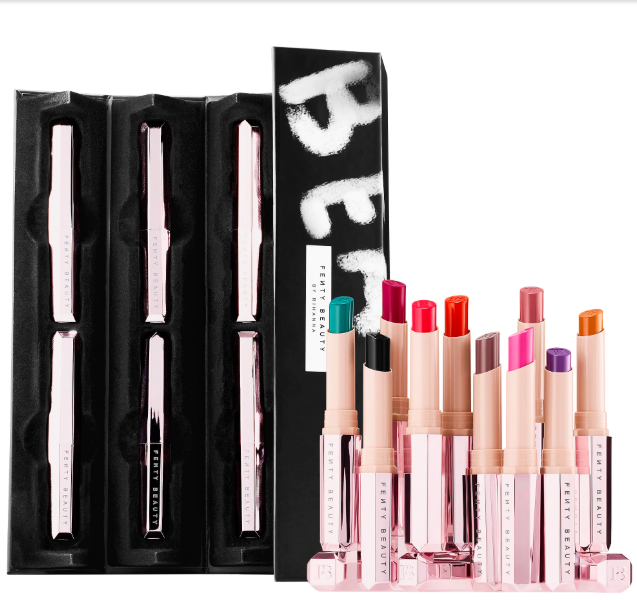 Get a set of 10 from Sephora for $149. 14. 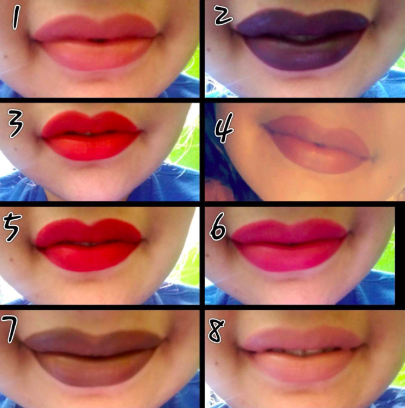 Or a set of matte liquid lippies that's way less pricey but just as fab. 15. A robe so soft I can already hear them shrieking, "IT'S SO FLUFFY I'M GONNA DIE!" Get it from Aerie for $41.96 (available in sizes XXS-XXL). 16. Does It Fart? 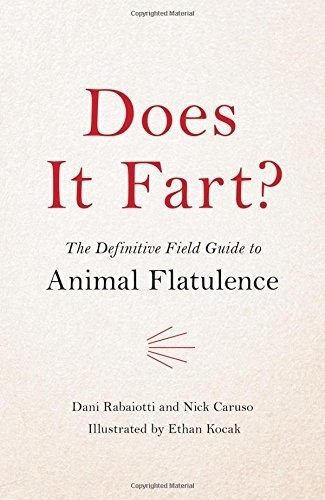 : The Definitive Field Guide to Animal Flatulence, which is sure to have them laughing the second they unwrap it. 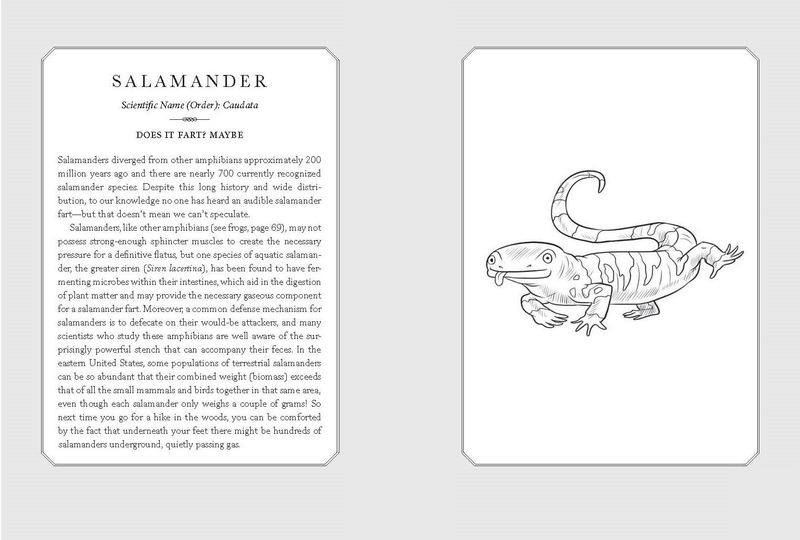 But it's more than just a joke — it's full of scientific analysis and exploration of that very important question among tons of different species. Get it from Amazon for $8.58+. 17. A customized city skyline ring so they can keep memories of their fave locale right at their fingertips (okay, technically their knuckles, but you get the idea). Get it from CaitlynMinimalist on Etsy for $25.20 (available in sizes 4.5-12 and in three colors and 41 cities, or you can request a city not listed for a custom order). 18. 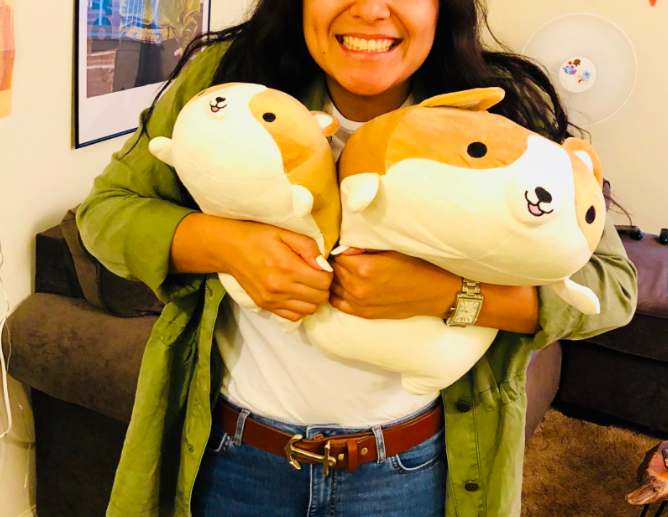 An OMG-worthy corgi pillow for anyone who can't have a real doggo but still needs something to boop. Get it from Amazon for $11.99+ (available in two sizes and four colors). 19. Some amazingly chic and affordable shoes they'll think cost you an arm and a leg when they really didn't cost you any limbs at all. Get them from Amazon for $23.99+ (available in sizes 5-9 and in four colors). 20. 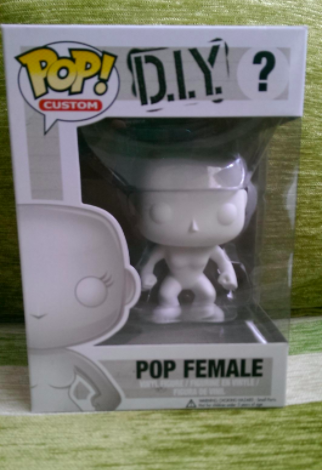 A DIY Funko Pop! 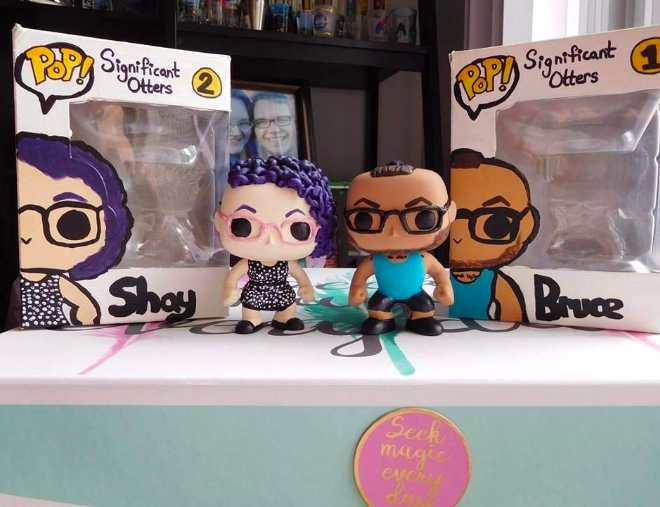 you can customize to look like your friend, you and your S.O., or even your loved one's fave obscure character that Funko hasn't gotten around to making yet (sigh). Get the female-bodied figure for $10.49 and the male-bodied figure for $10.99, both from Amazon. 21. A sweater featuring a hedgehog in a party hat that's so cute it almost shouldn't be allowed. Get it from ModCloth for $69 (available in UK sizes 6-28). 22. 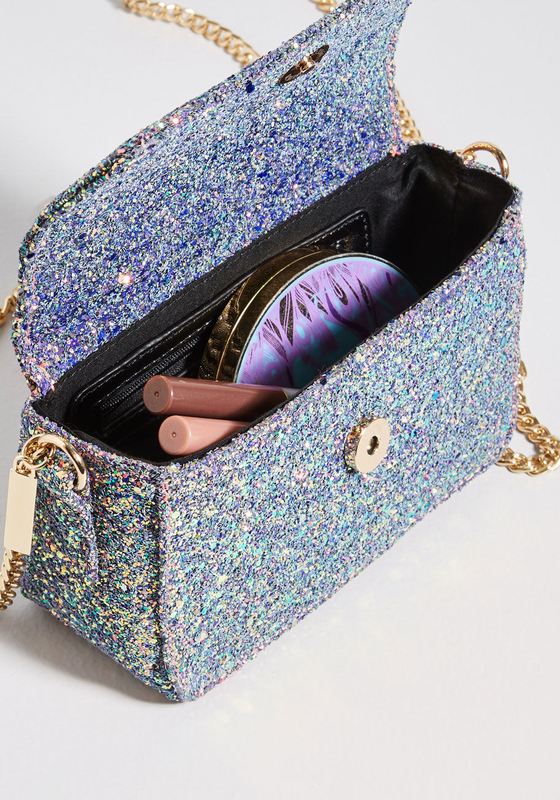 A funky card case from hip label Suno's collaboration with Anthropologie that'll make them smile every time they reach for their ID. Get it from Anthropologie for $19.20 (available in two prints). 23. 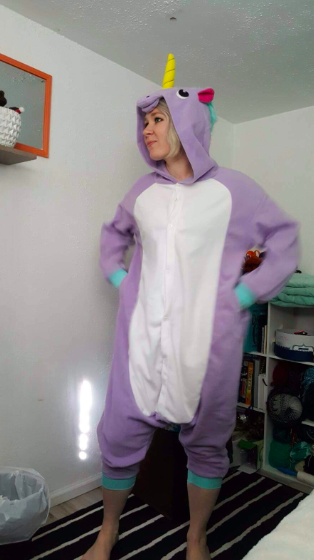 A magically cuddly unicorn onesie to help them achieve the peak level of cozy they thought was just a fantasy. Get it from Amazon for $40.49 (available in sizes S-XL and in six colors). 24. A box of buttercream-frosted holiday cookies featuring whimsical holiday designs like snowmen and reindeer that they'll want to keep all to themselves. Sorry, Santa. It includes an assortment of yummy flavors including chocolate mint, gingerbread, peanut butter buckeye, chocolate, peppermint chocolate, and cranberry orange. Plus, each cookie is individually wrapped, so they're perfect for sharing! Get it from Cheryl's Cookies starting at $32.99/12 cookies. 25. 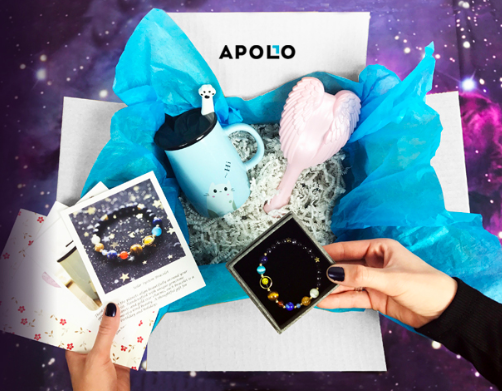 A subscription to the Apollo Surprise box, which'll deliver super fun surprises like funky jewelry, quirky knickknacks, cool home decor to their door once a month or every three months. In other words, this is the squee-worthy gift that keeps on giving. 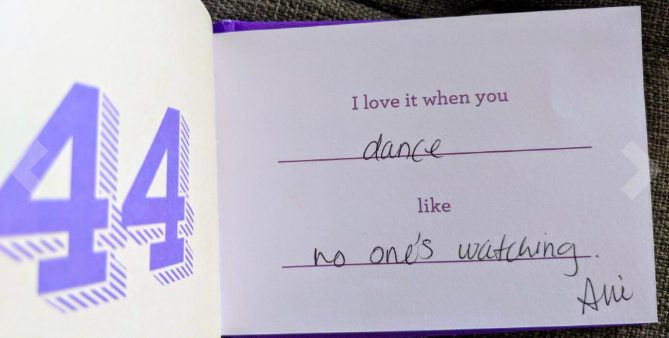 And to make sure they REALLY love it, you get to fill out a survey about the kinds of things they like before you place your order, so the box will actually be specially tailored to them. Get it from Apollo Box starting at $30/quarter. 26. Holographic mermaid socks sure to have them singing, "Look at this gift, isn't it neat?" 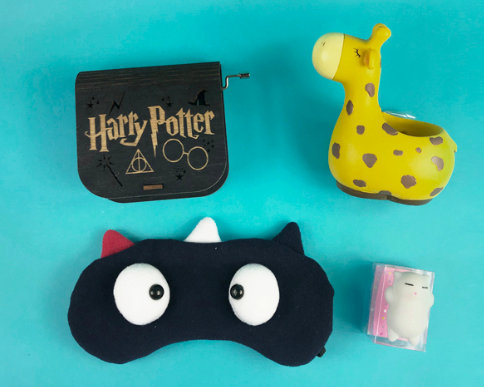 Get two pairs from Firebox for $16.69. 27. A wall-mounted neon sign that'll radiate positive energy. 28. 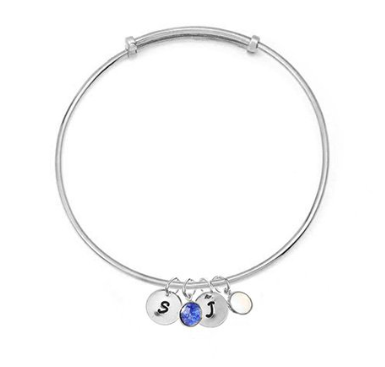 A keepsake-worthy bangle you can customize with their initials and birthstone or the initials and birthstones of their whole family! 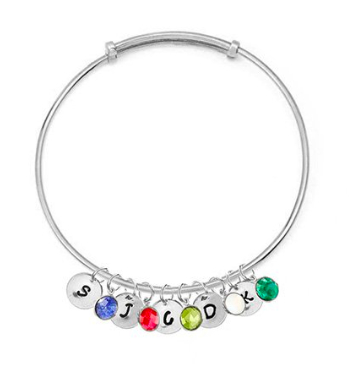 Get it from Eve's Addiction for $30 (available with up to six letter charms and six birthstone charms). 29. And a truly stunning statement necklace that'll sparkle more than the lights on the tree. Get it from J. Crew for $118 (available in two colors).